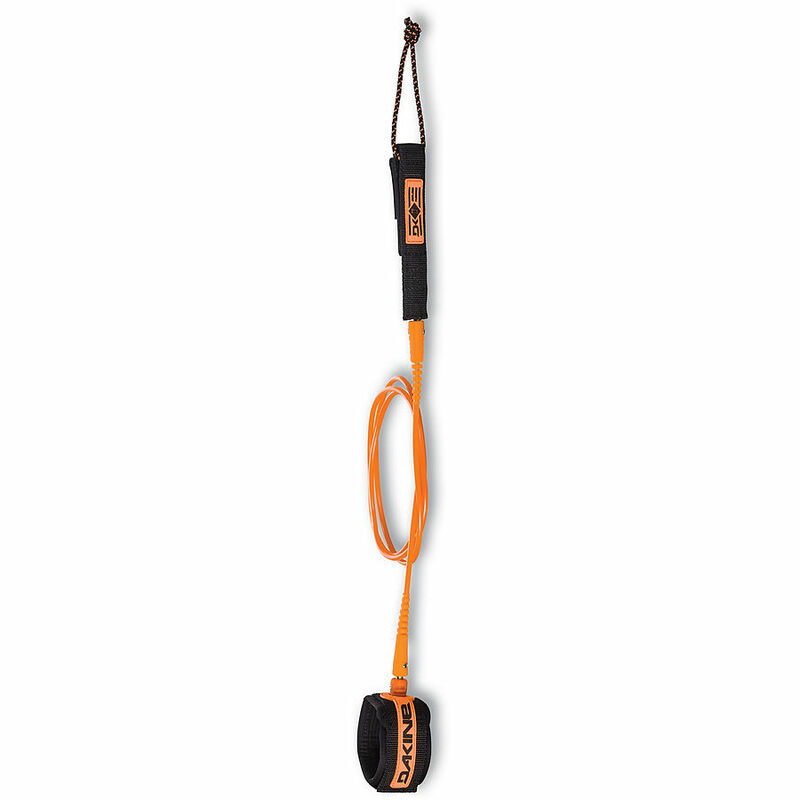 4.5	stars -	"Review for Da Kine John John Florence Pro Comp 6 ft x 3 16th Leash Black Orange" Mark Taylor This Da Kine John John Florence Pro Comp 6 ft x 3 16th Leash Black Orange is the best Legropes I have tried. Dakine is honoured to partner with the world’s best surfer, John John Florence, to bring you this custom designed Kainui 6' X 3/16 inch Leash. Constructed of the highest quality 3/16 inch (5mm) urethane Dura-Cord for maximum strength to keep you connected to your board in even the strongest surf. The Kainui is a continuation of Dakine's dedication since 1979 to making and refining surf leashes that protect both surfers and their boards in the most consequential conditions. All John John Florence products are packaged using sustainable recycled cardboard products with zero plastic – keeping our oceans clean for tomorrow.